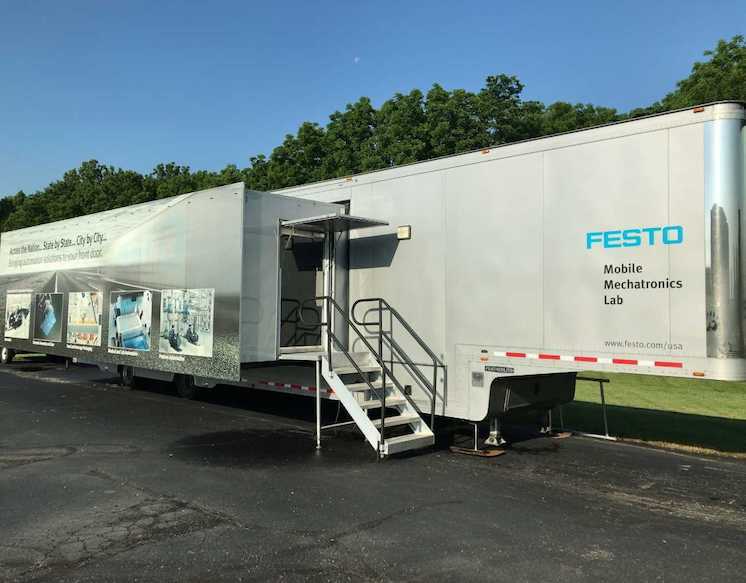 As part of Festo’s ongoing commitment to the City of Mason and Innovation Week 3.0, the company will bring its Mobile Mechatronics Lab to the city, showcasing innovations across the manufacturing spectrum to further our shared mission of promoting STEM education at all levels. The Mobile Mechatronics Lab features more than 20 dynamic displays and hundreds of products featuring the latest advancements in energy-efficient automation technology. During the week of Oct. 9, Festo will invite educational partners from local schools (grades 7-12) and colleges to tour the Mobile Mechatronics Lab. 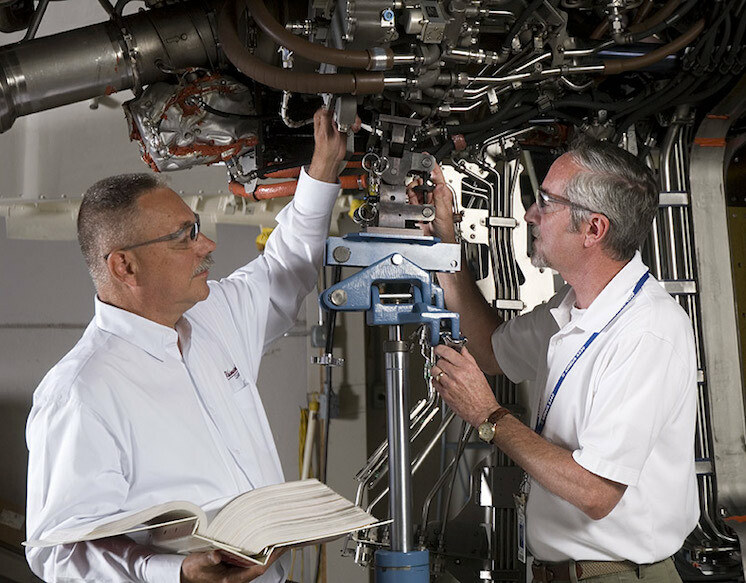 Visit the event schedule for details on how to reserve a tour. 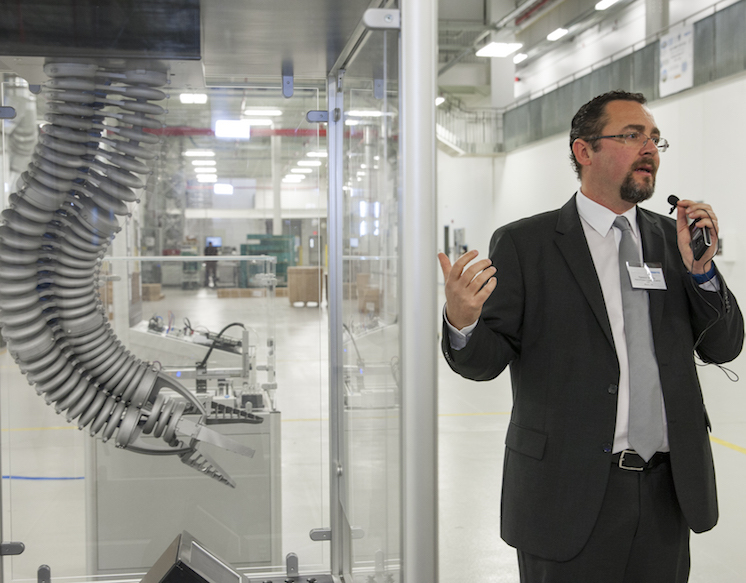 Since 2015, Festo has worked closely with the City of Mason to foster a strong public-private partnership that supports community education; inspires students of all ages to take an interest in science, technology, engineering and mathematics fields; and brings economic benefits to the technology ecosystem already present in the city and the region. With these goals in mind, Festo served as a founding partner in launching the first Innovation Week with its Bionic Learning Network, which showcases how principles from nature provide inspiration and creative solutions to technical and industrial applications. Festo continues its commitment to the city with support of Innovation Week 3.0 and other initiatives that propel science education, next-generation manufacturing and the Internet of Things forward in our community. Similar core values and a shared pioneering spirit caused the City of Mason and Assurex Health to launch the annual Research & Science Series, which engages scientific talent in Mason and promotes breakthrough ideas in our schools, community and beyond. From its humble beginnings in a Mason strip mall space, Assurex Health has increased its square footage by 700 percent and jobs by 300 percent. Since 2011, the City of Mason has facilitated three expansions, built a state-of-the-art genomics lab in the lower level of the Municipal Center and partnered on many industry-specific topics, including growth of the regional biohealth cluster. 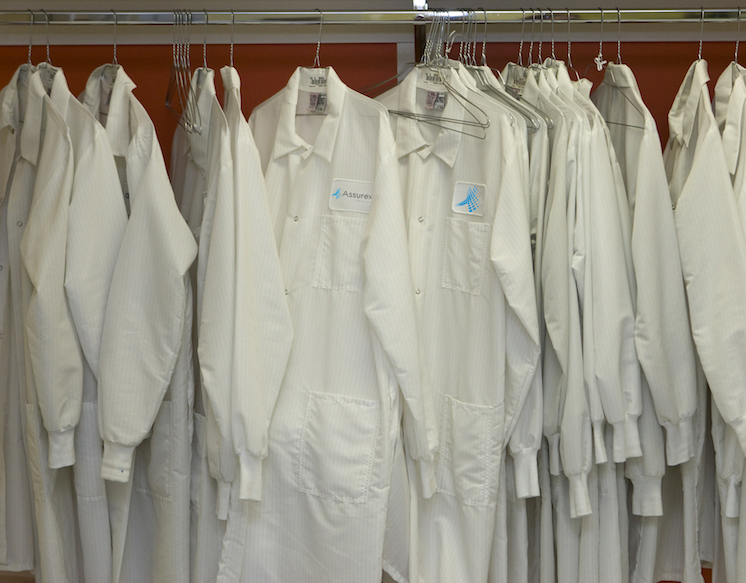 Now owned by Myriad Genetics, Assurex Health anchors Mason’s OakPark District, a hub for retaining young talent and hosting bioscience and advanced manufacturing jobs. Assurex Health and the city continue to investigate opportunities to leverage their shared goals with a long-term vision of establishing a Center of Excellence in precision medicine in the city. Since relocating its headquarters to Innovation Way in 2009, Rhinestahl has become a valued collaborator and powerful example of the role that public-private partnerships play in the growth of Mason’s business community. Rhinestahl’s continued focus on making a difference in Mason has been apparent in numerous initiatives the company has supported, including advocating on behalf of the city during high priority recruitment efforts, building a foundation for the “not your father’s factory” workforce movement through a Mason City Schools scholarship program, establishing a Sinclair Community College collaboration and supporting a long list of efforts that enhance the overall quality of life in the city, including a recent donation to support Mason’s Emergency Operations Center. Recently, Rhinestahl played an integral role in supporting the Hyperloop Pod Competition to accelerate innovation in the field of high-speed transit.